State health departments have the task of looking out for the well-being of citizens. Hearing loss is a growing problem in the United States due to a number of factors associated with a modern lifestyle. Children are at a high risk of developing some level of hearing loss from excessive use of digital gadgets like portable music players. It is the job of health agencies and communities to prevent the increasing trend of hearing loss in kids and teenagers. Federal and state regulations mandate that primary schools conduct hearing screens on a regular basis. Such tests are designed to diagnose hearing loss in children who are still developing physically and mentally. It is also important to conduct such screenings for free in order to evaluate kids who come from impoverished families that don’t have proper access to healthcare. An audiologist is a licensed professional who is qualified to conduct hearing screenings. There are several different types of tests that might be done depending on some preliminary evaluations such as a child’s medical history. The most basic hearing test is done with an audiometer, a device that generates sounds at different frequencies. While wearing headphones, a child who is being tested is asked to raise his or her hand whenever a sound is heard. The hand that’s raised must correspond to the side of the headphone from which the signal is being produced. A graph featuring all of the sound frequency generation and hand responses is then produces. The audiologist evaluates the visual data to determine the extent of hearing loss in the child being tested. A bone conduction test is often done during a routine hearing screening. In this simple process, a metallic tuning fork is struck with a small object and allowed to vibrate. The vibrations in the fork create sound at different frequencies that are detected by the inner ear. People that have hearing loss might not be able to detect some of the sound generated by the vibrating tuning fork. The Rinne and Weber tests are also common standard evaluations for partial or permanent deafness. These screenings test people for physical damage to parts of the ear like the mastoid process. Sensory function of the inner ear canals is also evaluated carefully. Some medical studies suggest that the hearing of students above a certain age should not be tested. For example, high school kids might not be at high risk of developing any further hearing loss. It is believed that sensory function in the ears is commonly lost in the early teenage years rather than the late adolescent stages. Therefore, many state health departments are debating whether to implement mandatory hearing screenings in high schools throughout the United States. 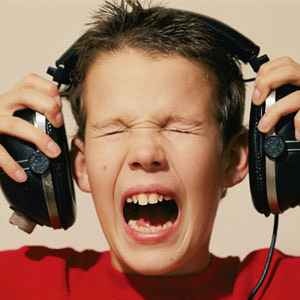 Parents might sometimes feel that their teens urgently need further evaluation for hearing loss. There are plenty of clinics that can offer free hearing tests. Companies that provide hearing aids can refer clients to offices that offer hearing loss screenings without charging a single dime. Hearing aid suppliers believe in actively informing people about ear health. Philanthropic efforts might be launched to raise awareness about hearing health and deafness in America. Social media posts are effective at sending important messages regarding various health topics that might affect millions of people across the globe.